Ice cream. The mere word gets us drooling and we start wondering where the nearest shop might be where one can buy some! 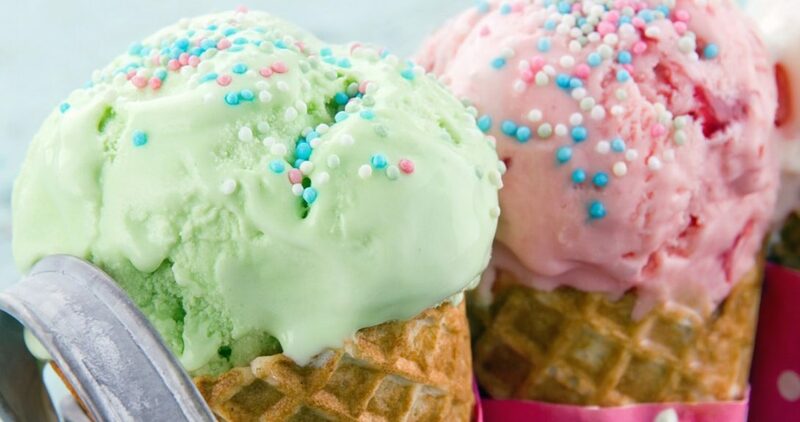 Whether it’s fruity flavours or classic chocolate, quirky combos, cups, cones, soft serve, or a big block to be shared with family and friends, there’s some ice cream that appeals to each one us and fits every occasion too. A perfect dessert for all ages, we all love ice cream and it’s no surprise that there are so many brands available in India across the big cities and small towns, and even in villages. From big international brands to pan-Indian and local brands the variety is massive. Here’s our selection of 2018’s top 10 selling ice cream brands in India. Amul is the brand managed and marketed by the Indian dairy cooperative – Gujarat Co-operative Milk Marketing Federation Limited. Formed in 1948 by Tribhuvandal Patel with the vision of setting off India’s White Revolution, today Amul is a brand known and trusted in every corner of the country. Dr Verghese Kurien, the architect of the brand, joined him after just a few years and is considered the Father of the White Revolution. Today Amul is the largest food brand in India and among its very large portfolio of milk based products is their delicious range of ice creams. Proudly proclaiming their ice creams to be made with fresh milk, Amul certainly holds a big advantage over many other brands that make what is technically known as frozen dessert. The range of flavours spans fruit, nuts, chocolate, etc., Amul ice cream is available on sticks, in cones, cups, blocks, tubs and various other forms. 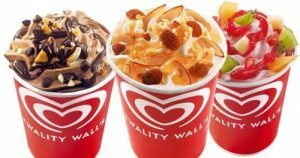 Kwality ice cream is what we all grew up eating and after it was bought out by Hindustan Unilever, the combined brand of British Walls and Kwality were launched as Kwality Walls across India. Brand loyalty towards the Kwality name worked hugely in the favour of this new brand and today it is one of the most popular ice cream brands available in India. Available in Swirl parlours and in grocery shops and supermarkets, Kwality Walls ice creams are easy to get. Choose form the popular Feast, Cornetto, Cassatta, Sandwich and lots more. The Magnum brand of luxurious ice creams is also marketed by Kwality Walls. On those days when you just need your tub of ice cream for company, just go ahead and order one from one of the many online grocers, delivered right at your doorstep. Check out Online Grocery Coupons from GreatBuyz and grab the best offers. This American ice cream chain has been in India for several years and its distinct 31 flavours slogan is well known everywhere. 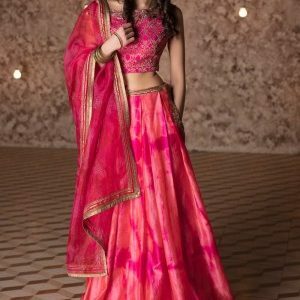 The brand is available in nearly 50 countries outside the USA including India with more than 7500 shop locations. One thing that keeps Baskin Robbins ice creams popular world-wide is their willingness to incorporate local flavours into the ice creams available in each location. 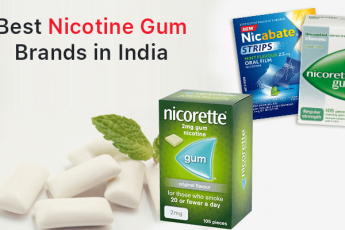 The company was founded in Glendale, California by Burt Baskin and Irv Robbins in the year 1945 and came to India in 1993. Baskin Robbins offers purely vegetarian ice cream made from cow milk. Customers get to try out new flavours every month as they constantly experiment and innovate with new ingredients and flavour combinations. Get BigBasket coupons on GreatBuyz for your Online Shopping. 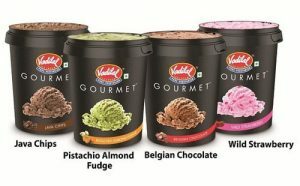 Vadilal began as a single outlet in Ahmedabad in 1926 and is today one of the most recognised and trusted ice cream brands in India. Currently the brand has more than 50 flavours of ice cream sold in a variety of forms – cups, cones, candies, family packs and more. Vadilal Parlours are present in most towns and cities in India serving customers sundaes and other tasty ice cream creations made on the spot with ice cream and assorted toppings, syrups, and sauces. Some of their top products are Ice trooper, Gourmet premium ice creams, Special Occasionz tubs, Flingo cones, and the Bada Bite ice cream candies. What started as a side business to augment the household income for Satish Chona in Karachi in 1944 is today a household name among ice cream lovers in India. Havmor is now based in Ahmedabad and offers a variety of products sold through a wide network of Havfunn parlours, and at grocery shops and supermarkets. 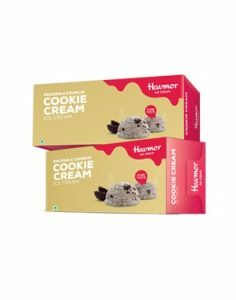 Havmor offers a huge range of ice cream products including sugar free ice cream, kulfi, ice cream cake, roll cuts, sundaes, and many other variants in a stunning variety of flavours. Craving a ice cream Sunday and want it NOW? Order one from your best local ice cream parlor, use Swiggy from GreatBuyz for fast and easy delivery! The Dinshaw’s brand was established way back in 1932 by Dinshaw and Erach Rana as a dairy business in the Nagpur area. Dinshaw’s Ice Cream was created soon after. 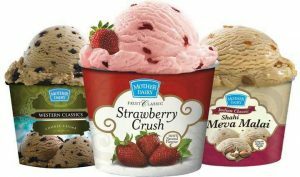 Today the company’s dairy products have a very strong market presence in the states across Central India and their ice creams are available widely in the rest of the country. 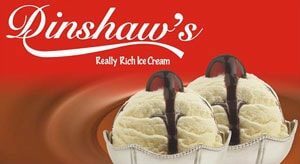 Dinshaw’s manufactures a range of good quality dairy products including milk, ghee, lassi, and of course, ice cream. They also have a bakery division. The ice creams category includes kulfi, lollies, sugar free ice creams, and fancy variants like sundaes, waffle cones, etc. Mother Dairy was started in 1974. It is a subsidiary company of the NDDB, National Dairy Development Board started as an initiative under Operation Flood. Mother Dairy manufactures, markets and sells milk and milk products, and has also expanded its portfolio to other edibles like oil, fruits, vegetables etc., that are sold through Mother Dairy outlets. The milk based products from Mother Dairy include paneer, ice cream, ghee, lassi, and curd, to name a few. The range of ice creams includes many Indian flavours apart from the usual popular fruit and chocolate based variants. 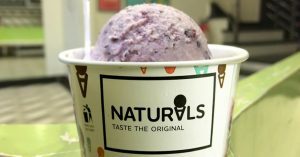 Founded by R S Kamath of the Mangalore based Kamaths Ourtimes Ice Creams Pvt Ltd with its first store in Juhu, Mumbai, Naturals Ice Cream is known for its all natural ice cream made with fresh ingredients and real milk. From that one outlet in Juhu, Naturals has now expanded to more than 135 stores around India in a combination of franchisee shops and company owned outlets. The biggest draw of Naturals ice cream has been its seasonal fruit flavours like lychee, real mango, custard apple, etc. Currently the brand is undergoing a makeover with a modern new logo and other changes. Hatsun Agro Products was started by R G Chandramogam. In 1970 Chandramogam began making ice candies in a rented space in Royapuram, Chennai. These ice candies would be sold on push carts around the city. The company grew slowly and in the 1990s the turnover crossed an impressive Rs 3 crore. The brand name Arun was inspired by the sun – the more the sun, the more the ice cream – Chandramogan believed. The Arun range of ice creams includes bars, cups, cones, specialities, and tubs in myriad flavours. 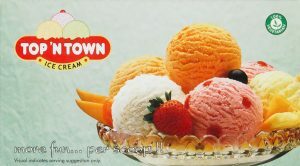 Another ice cream brand that started from a single shop and grew into a country-wide brand is Top‘N Town. With ice cream plants in Durg and Bhopal, Top’N Town has a solid presence in the central Indian states of Madhya Pradesh, Orissa, Uttar Pradesh, Andhra Pradesh, Telangana, Chhattisgarh, and also in Maharashtra and Rajasthan. The product range includes bars, cones, kulfi, tubs, novelties and cake, to name a few. These are available in a variety of chocolate, fruit and other flavours. Now that you have seen our picks for the 10 best ice cream brands in India you know what to look for whenever you feel like an ice cream no matter where in India you are!